Star Wars Battlefront was one of 2015 top video game hits, no doubt. This let you play multiplayer matches set in a variety of Star Wars scenarios, from the Battle of Hoth to the assault on the Death Star. Star Wars Battlefront wasn’t perfect however, and some bemoaned the lack of a single player campaign and limited amount of multiplayer content. However, Electronic Arts’ (EA for short) upcoming sequel Star Wars Battlefront 2 could end up being the game many wished the original Battlefront had been. This is because this sequel will offer a single player campaign and expanded multiplayer gameplay based on all the Star Wars films to date and not only the original trilogy. 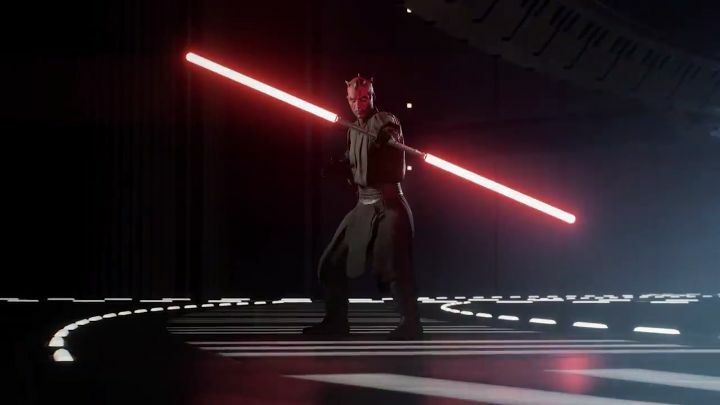 And those wanting to sample Star Wars Battlefront 2’s multiplayer gameplay before the game launches on November 17 will be able to do so this week, by taking part in the game’s open beta. So without further ado, here’s all you need to know about Star Wars Battlefront 2’s open beta. What system do I need to run the beta? Star Wars Battlefront 2’s beta can be played on PS4, Xbox One or PC. What is the Kick-off time? You can download the open beta via the PlayStation Network if you game on PS4, or via Xbox Live if you are on Xbox One. PC gamers, meanwhile can get it through Origin. The beta weighs in at 15 GB. Sadly, unlike other recent beta tests it won’t be possible to pre-load here. Will the single player campaign be playable in this beta? Sadly, EA won’t be offering any single content in the beta. 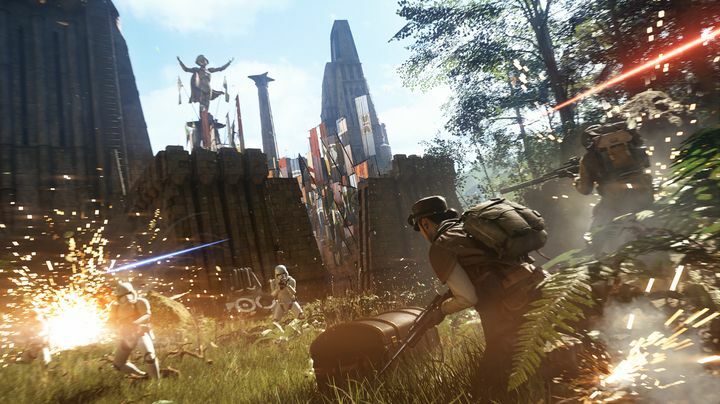 This may disappoint some, as the single player campaign is one of the biggest draws of this Star Wars Battlefront sequel… Fortunately, though, there is quite a bit of multiplayer content available for you to try out during the beta. So, what will the beta offer exactly? There are several multiplayer modes to play: Arcade on Naboo, Strike on Takodana, Starfighter Assault on Fondor and Galactic Assault on Naboo. In the Arcade on Naboo mode, you have to take on AI opponents either alone or with another player. As the name of this mode suggests, this is set on Naboo, a planet which was seen in George Lucas’ The Phantom Menace. There will be two gameplay options here: fight in a team with AI allies against an enemy team, or go solo and fight scores of enemies alone. Also, those playing Star Wars Battlefront 2 beta on PS4 or Xbox One will even be able to enjoy some good old-fashioned couch co-op play here. The Starfighter Assault on Fondor mode requires you to either defend an imperial starfighter from attack, or attempt to destroy it depending on which side you play on. What makes this mode interesting is that you’ll get a chance to pilot Hero Ships from the original trilogy of movies, the prequels and the new Star Wars films too. Also, you can try out the three new starfighter classes features in Star Wars Battlefront 2. Strike on Takodana takes place on a location that will be familiar to anyone who has seen The Force Awakens. Here you have to defend Maz Kanata’s castle from the First Order if you take the Resistance’s side, or go after the Rebels if you fight amongst the First Order ranks. One key aspect of this mode is that nobody gets to play as a Hero character. Instead, teamwork and a good understanding of the skills of Star Wars Battlefront 2’s different classes (Assault, Heavy, Specialist and Officer) will be needed to succeed.